How to deploy the web-app without appbase attribute using embedded tomcat 8 ? How to enable SSL connection between F5 and Weblogic 12c? 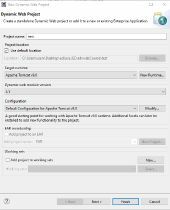 JBoss Application Server EAP6.4: How to configure WorkManager and access workmanager? Redirect remote user IP to Database?